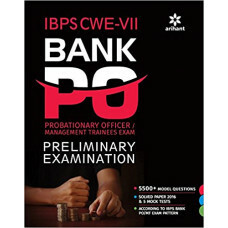 The Institute of Banking Personnel Selection (IBPS) conducts a Common Written Examination (CWE) for recruiting candidates to the post of Probationary Officers/ Management Trainees in the participating organizations. 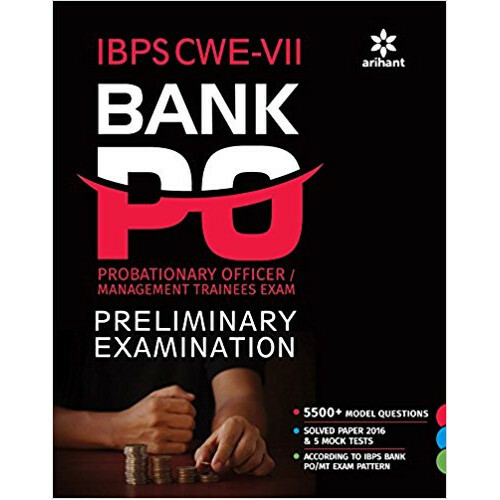 This book has been designed for the aspirants preparing for IBPS CWE-VII Bank PO/MT Preliminary Examination 2017 for recruitment to the post of Probationary Officers/ Management Trainees. The present study guide for IBPS CWE-VII Bank PO/MT Preliminary Examination has been divided into three parts namely English Language, Quantitative Aptitude and Reasoning Ability. Each section covered in the book has been sub-divided into number of topics as per the syllabi of IBPS CWE-VII Bank PO/MT Preliminary Recruitment Examination 2017. Ample number of solved problems have been provided in each chapter. The solved problems have been designed on the lines of questions asked in previous years’ IBPS Bank PO/MT CWE. The questions covered in the book have been solved in detail for effective understanding of the concepts on which the questions are based. Unsolved practice exercises have also been provided at the end of each chapter to help aspirants practice and master the concepts discussed in each chapter. The book also contains 2015 and 2016 IBPS Bank PO/MT Solved Papers with detailed and authentic solutions to help aspirants get an insight into the recent examination pattern and the types of questions asked therein. Also, five mock tests have been provided at the end of the book to help aspirants self-analyze their level of preparation for the upcoming IBPS Bank PO/MT Examination. As the book contains ample preparation material designed according to the syllabi and along with previous years’ solved papers, it for sure will act as the best study guide for the upcoming IBPS-VII Bank PO/MT Preliminary Examination 2017.